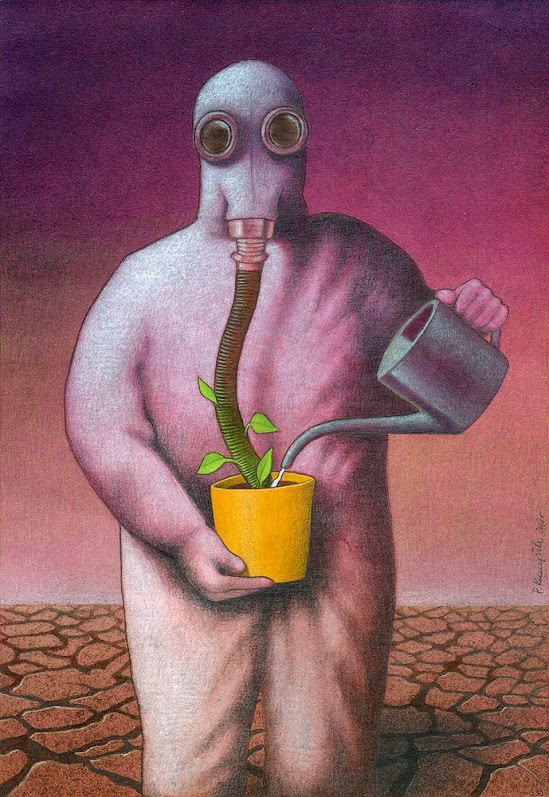 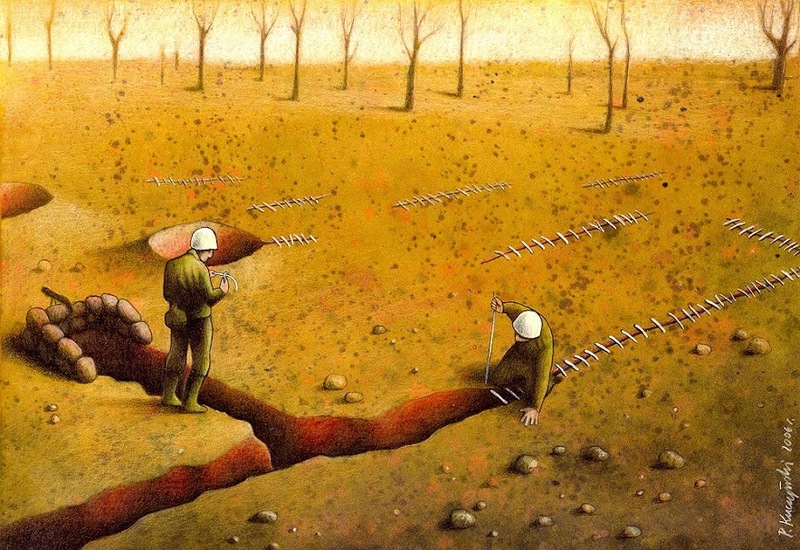 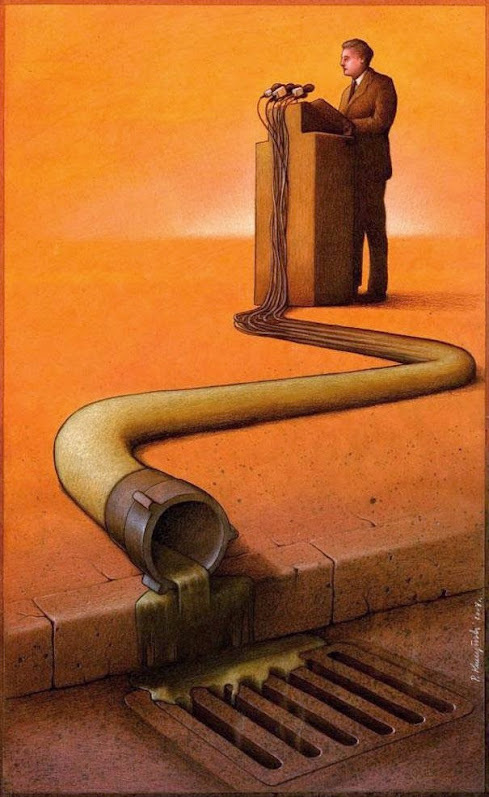 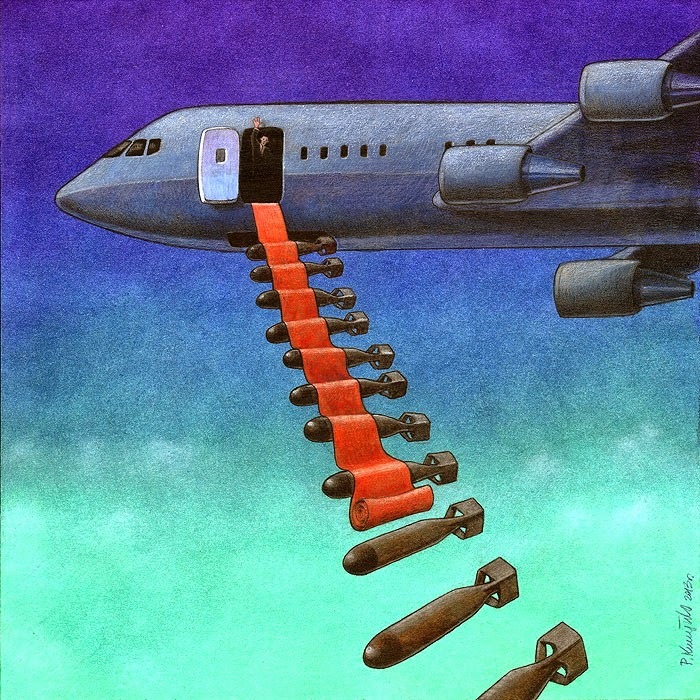 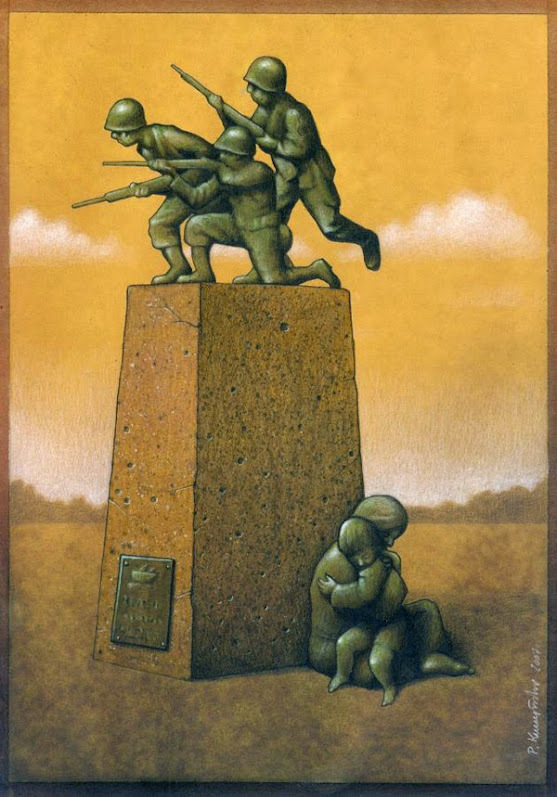 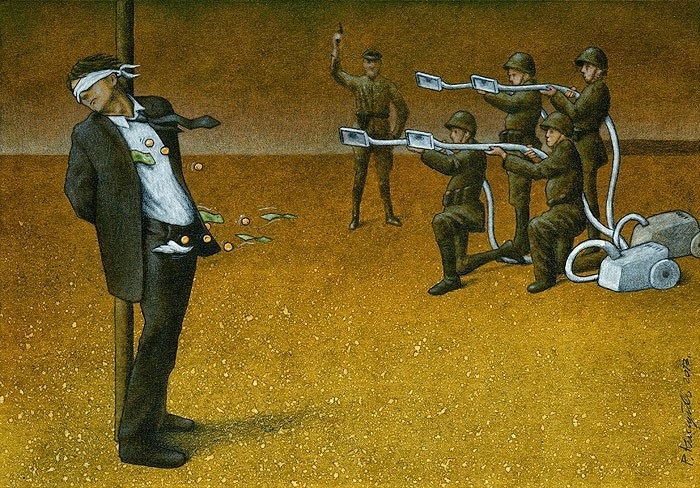 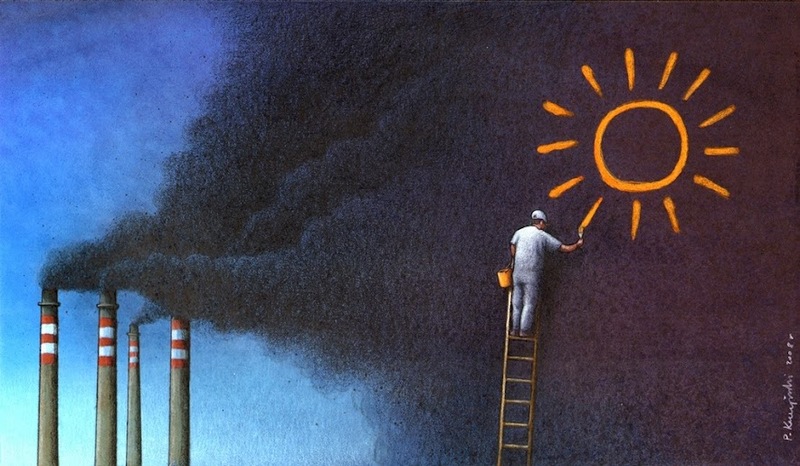 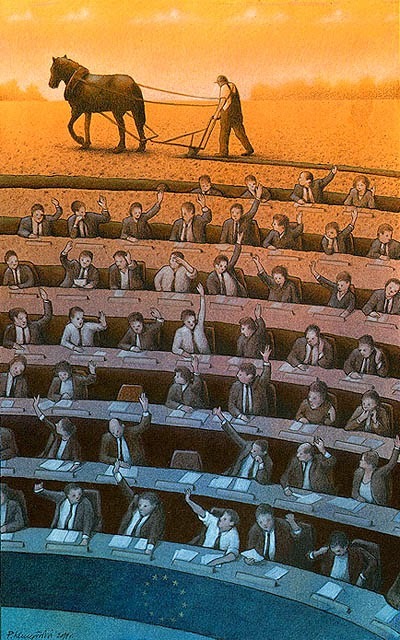 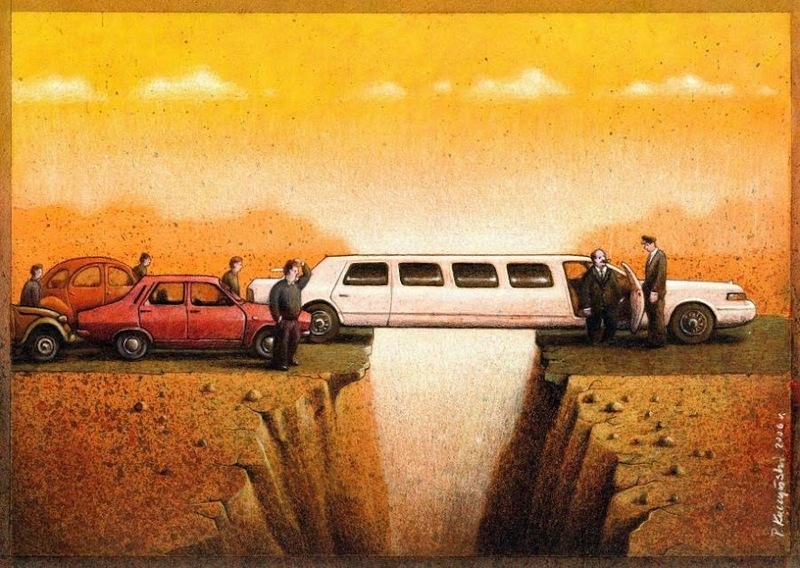 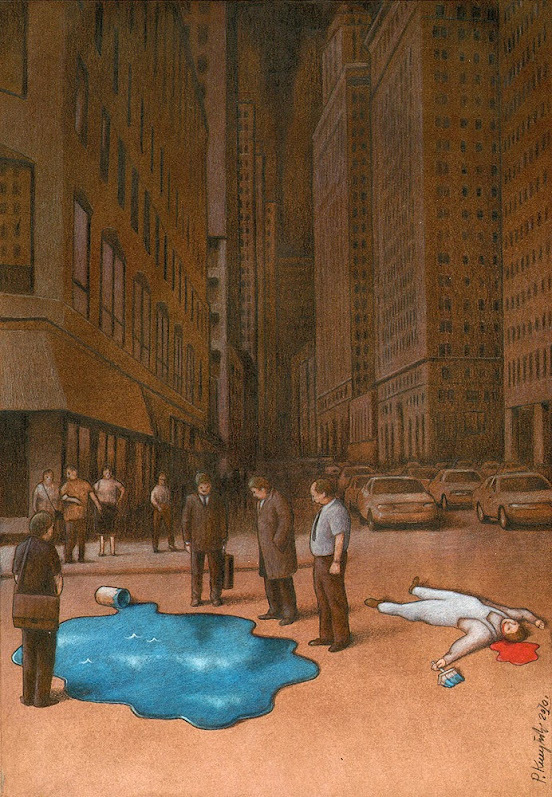 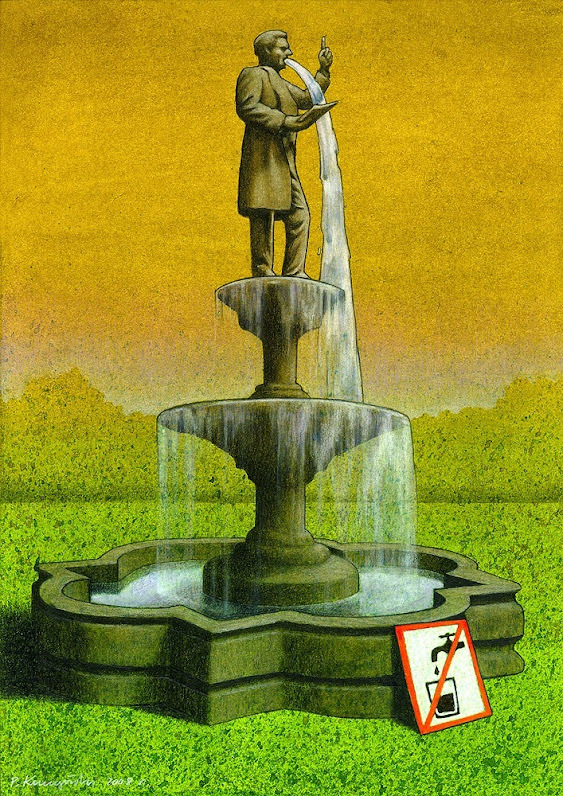 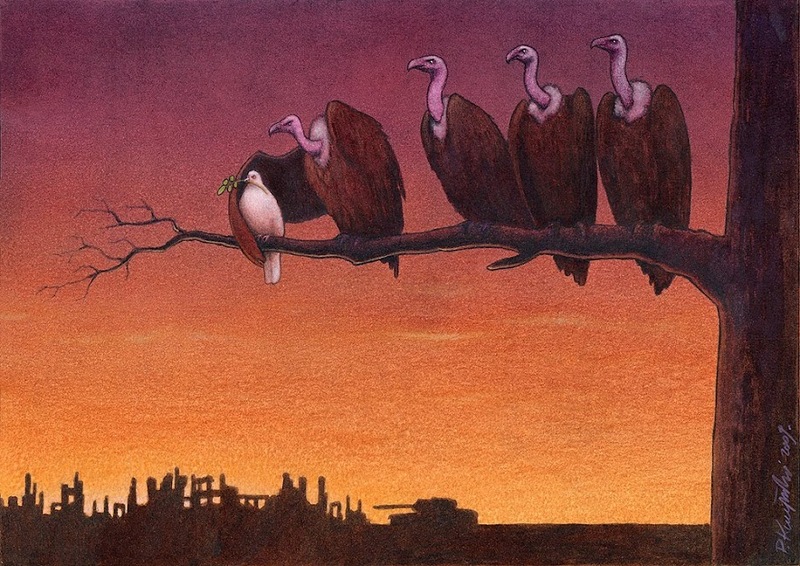 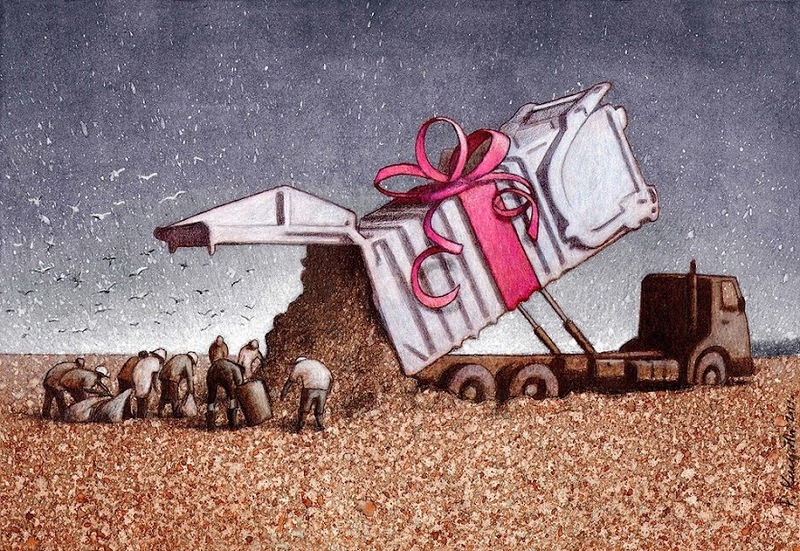 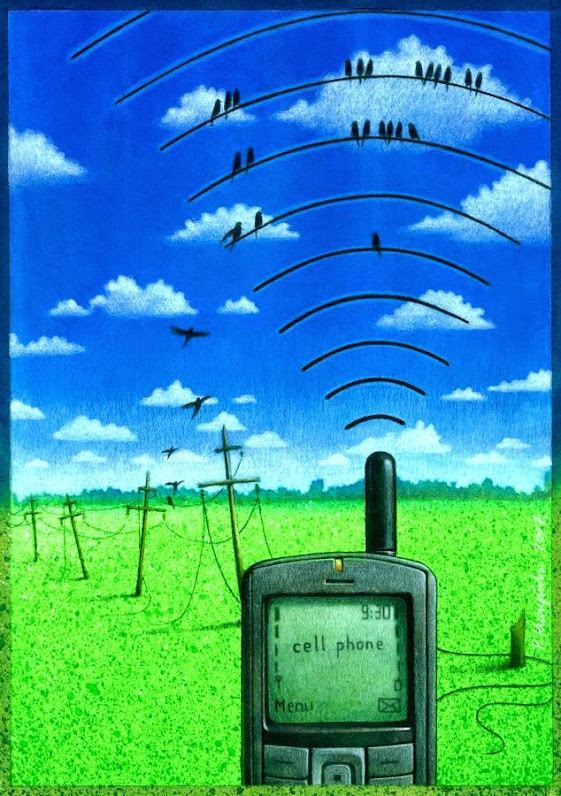 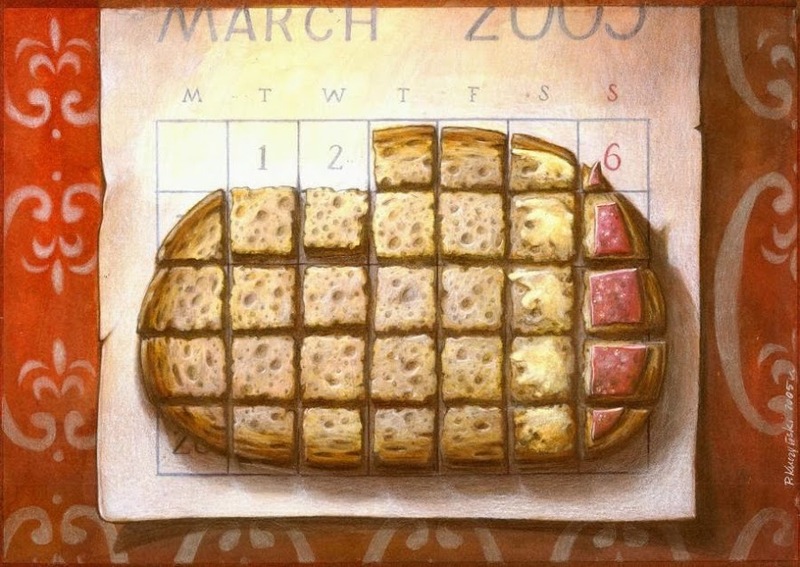 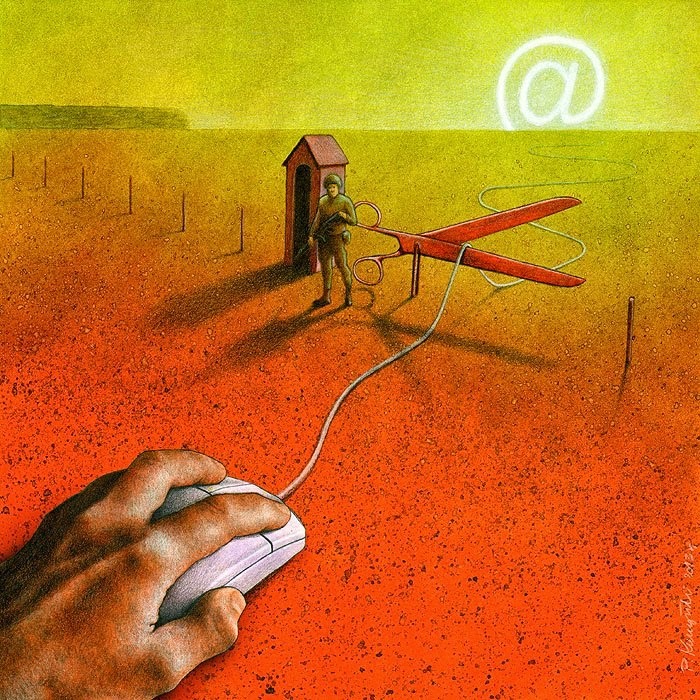 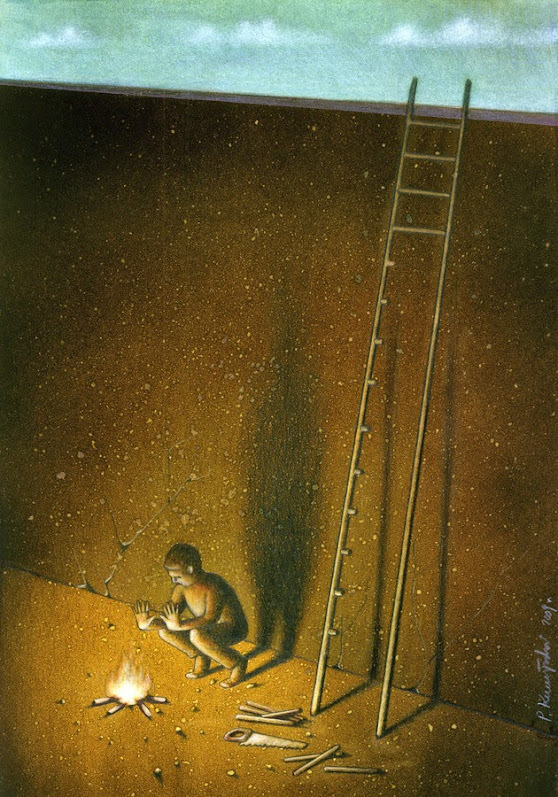 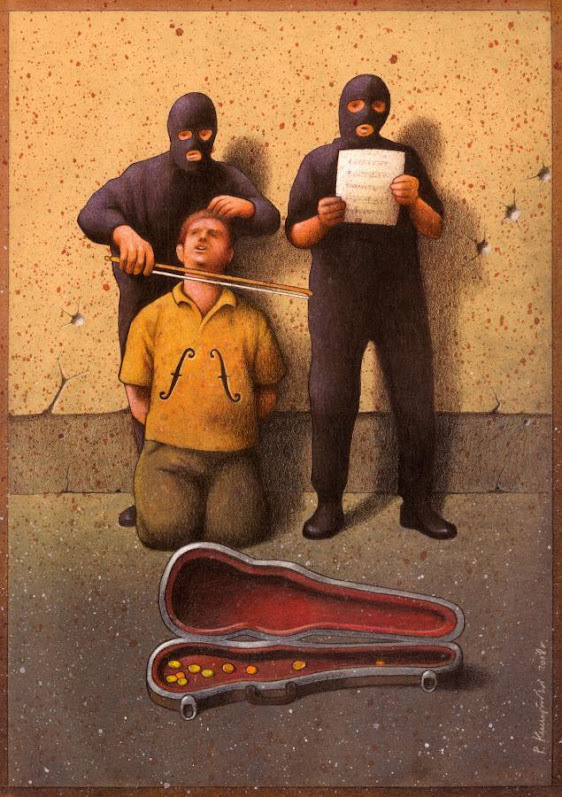 Pawel Kuczynski is an amazing artist, you cannot just glance at his works, instead you will stop and start to think. 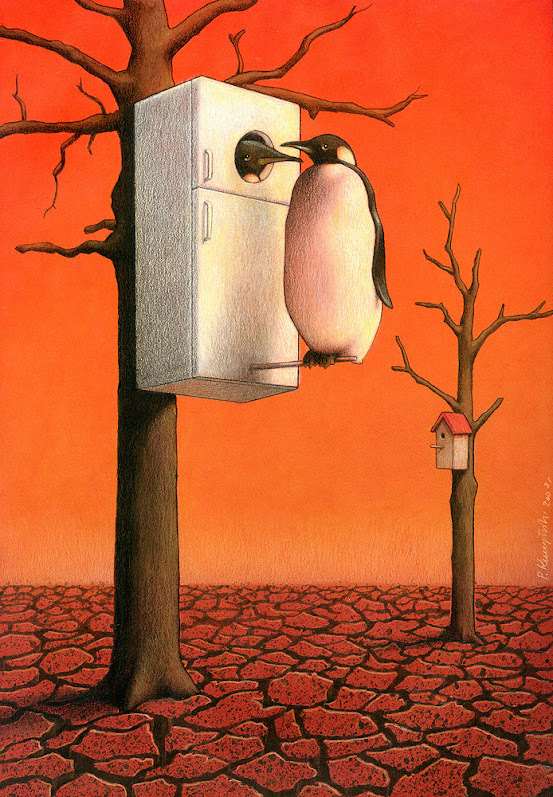 Pawel is Polish artist that specializes in satirical illustration. 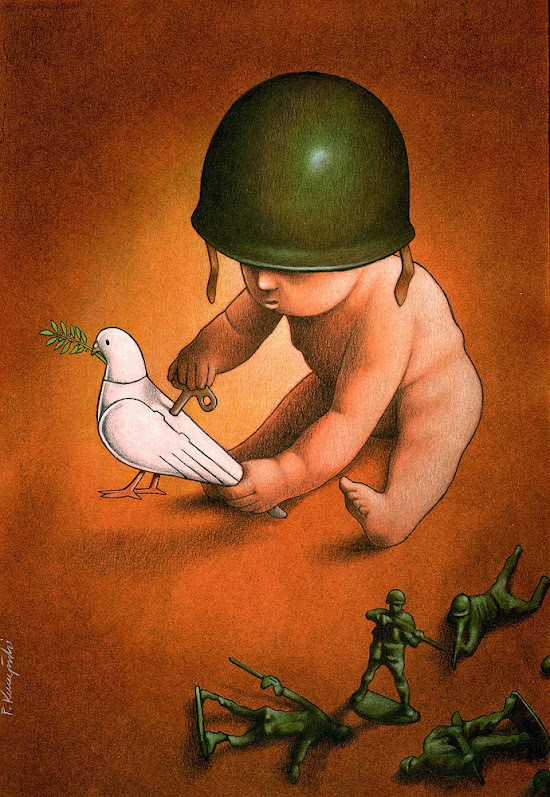 Born in 1976 in Szczecin, Poland, he graduated with a graphics degree from the Fine Arts Academy in Poznan. 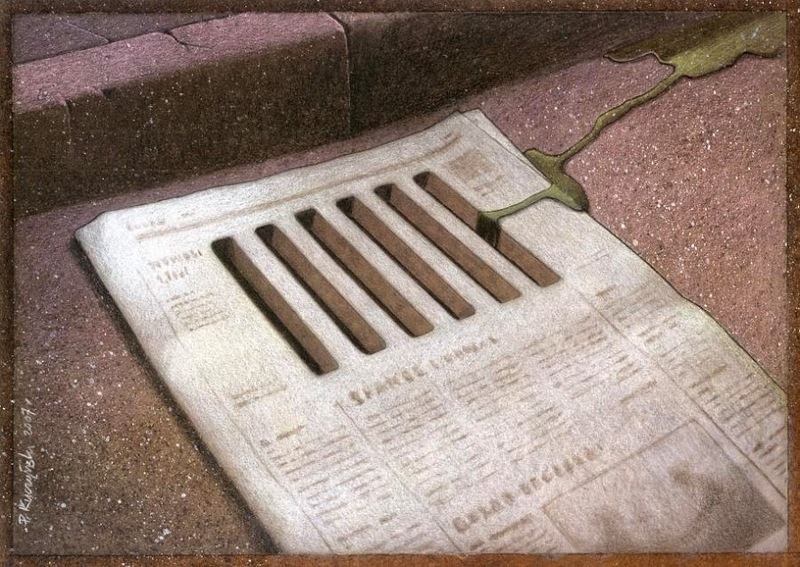 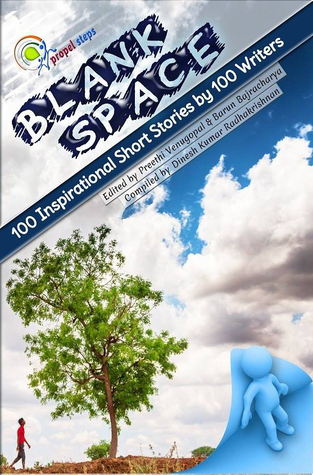 Pawel has been focusing on satire since 2004 and has garnered nearly a hundred prizes and distinctions since then. 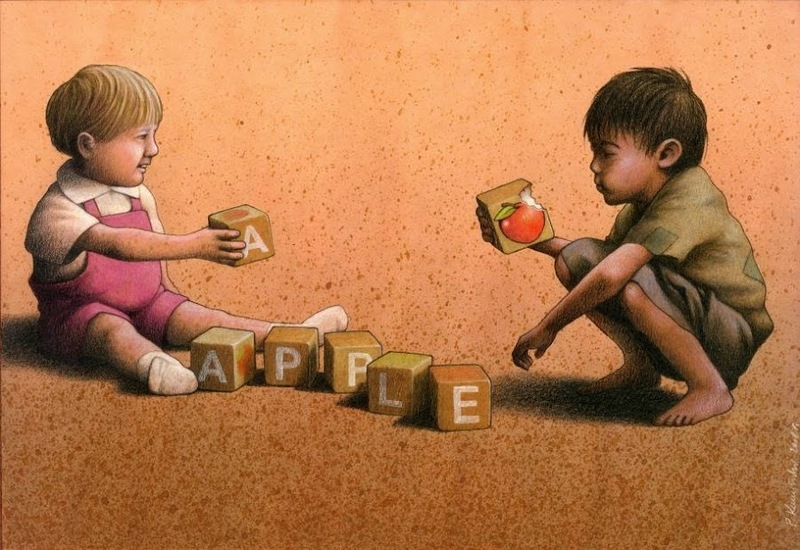 Much of his artwork deals with serious themes such as poverty, greed, politics and mortality. 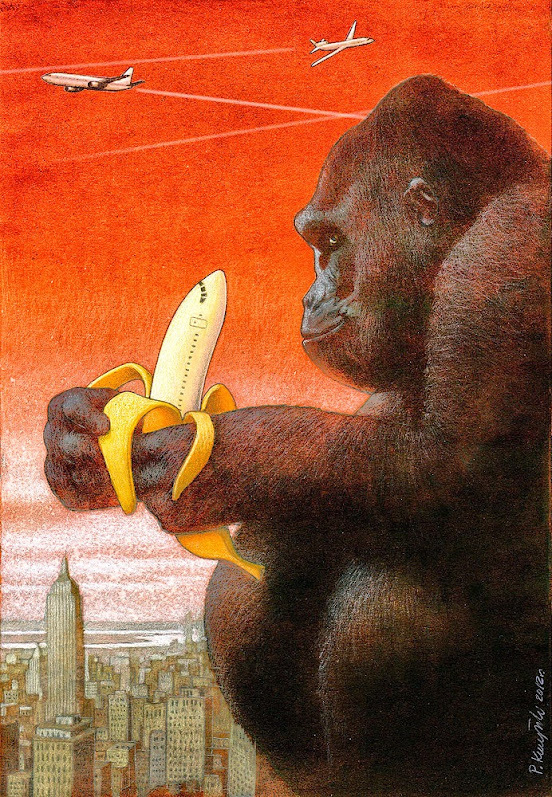 While his subject matter is stark, his illustrative style is whimsical and cartoonish. 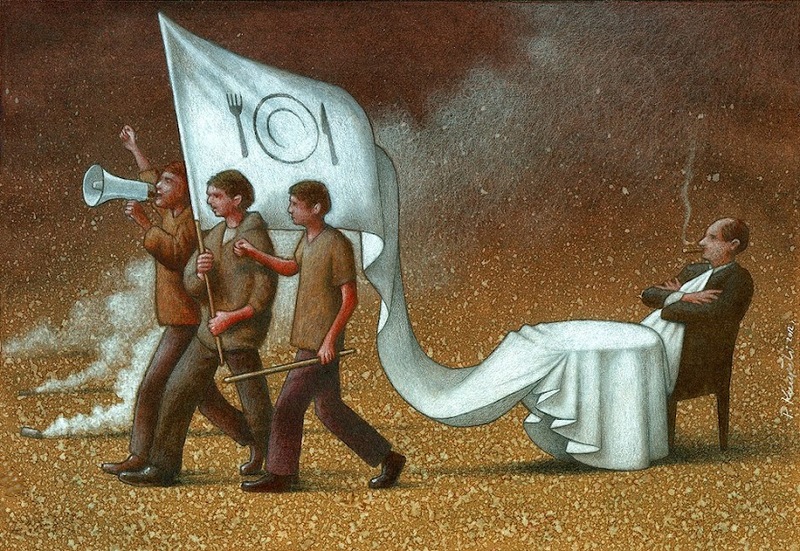 This provides great contrast and makes his work interesting to analyze.